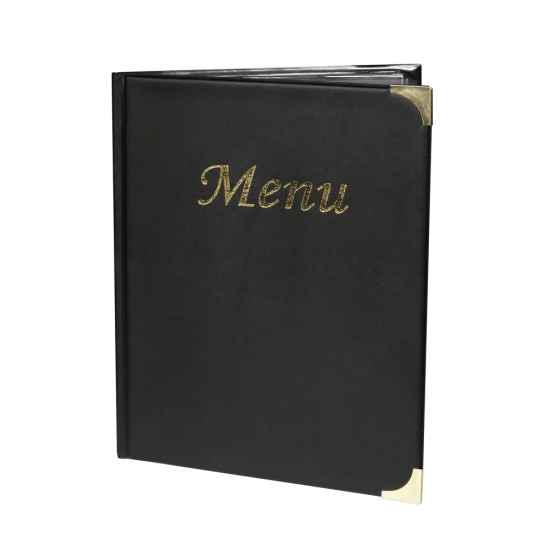 How does this Traditional PVC Menu Cover work? 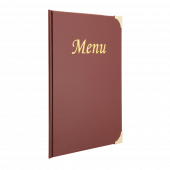 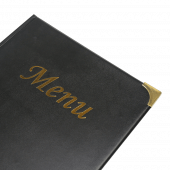 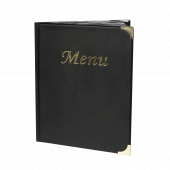 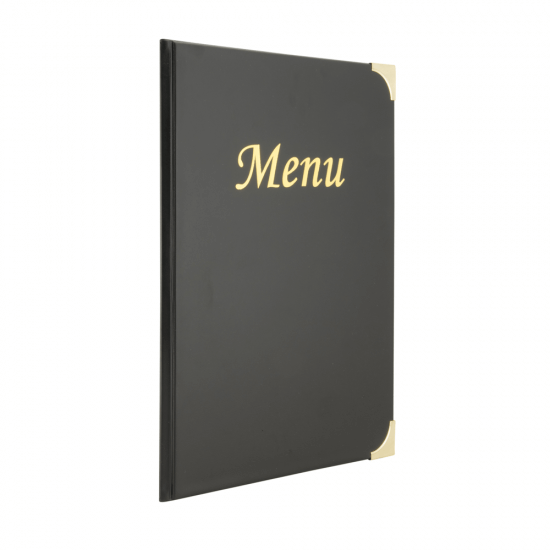 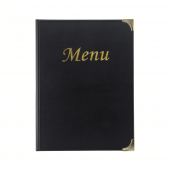 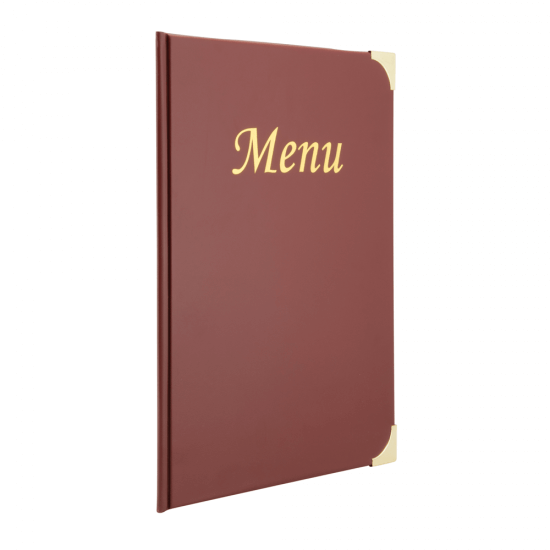 Our Traditional PVC Menu Cover comes pre-fitted with clear plastic menu sleeves to take up to eight sheets of paper. Simply slide your menu pages into the top of the pocket and it will be protected by the menu cover. 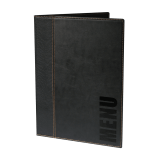 In addition to these menu sleeves, the inside and back covers have an additional optional pocket to provide even more room for your messages. 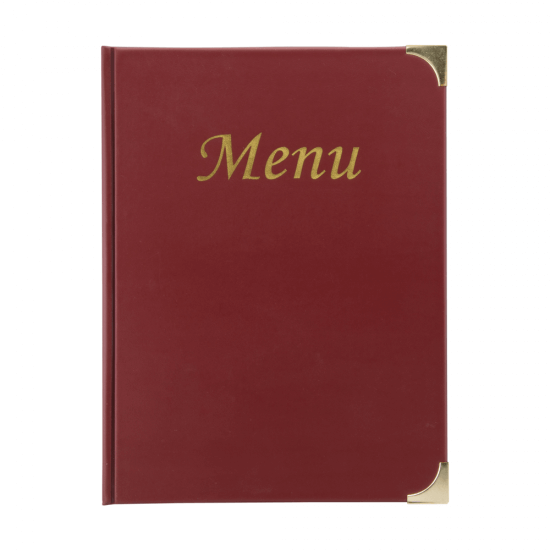 What is the menu cover made from? 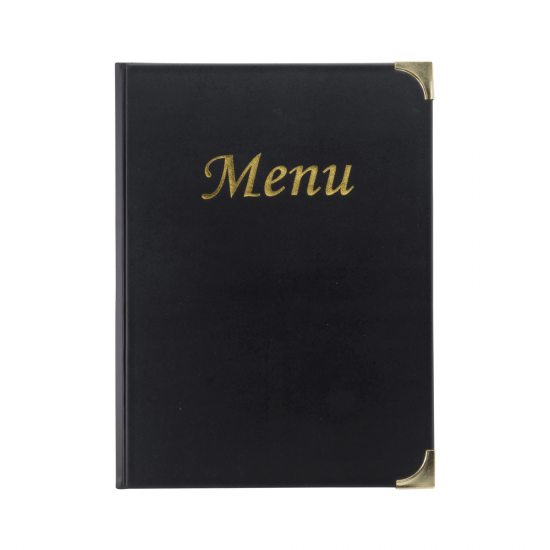 This menu cover has a textured PVC outer with a leather look and features metallic gold "menu" text on the cover and gold metallic corner protectors, which make it hard-wearing and easy to wipe clean. 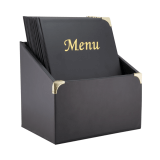 These menu covers are available individually or as a set of 10 with a matching storage box.